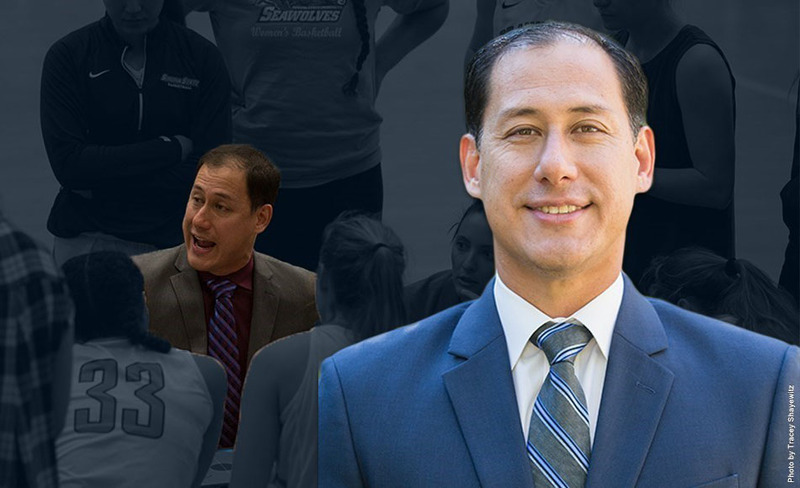 Rich Shayewitz has been named the Head Coach of the Sonoma State University Women's Basketball team after spending the previous 11 seasons as the Associate Head Coach for the SSU Men's Basketball team. Shayewitz becomes the sixth head coach in the program's 37-year history. "I am truly humbled and honored to be chosen to lead the Sonoma State Women's Basketball program," said Shayewitz. "I want to thank Director of Athletics, Bill Fusco, Interim Vice President for Administration and Finance Stan Nosek, Faculty Athletic Representative Dr. Steven Winter and the selection committee for their hard work and diligence throughout this process. Sonoma State is a place that means so much to me and I look forward to working with our student-athletes, staff, administration, and campus community to create successes on and off the court." Said Fusco, "Our women's basketball program is most fortunate to have Rich Shayewitz as our next head coach. His experience, knowledge of the game, endless energy and passion will undoubtedly lead this program to new heights." Shayewitz came to Sonoma State as an undergraduate in the fall of 1995 and obtained a Bachelor's degree in business marketing in the spring of 2000. During that time, he volunteered as a student assistant coach on the men's basketball team under head coach Pat Fuscaldo and has been on the sidelines ever since. He was later promoted to Associate Head Coach just prior to the 2006-07 season. In his 19 seasons with the men's team, Shayewitz was instrumental in assisting the program to four NCAA tournament appearances, including this past season in which the Seawolves were crowned the NCAA Division II statistical champion in scoring defense and field goal percentage defense, holding opponents to a nation-best 57.8 points per game. He was also credited for his help in the team's 2005-06 CCAA Championship run and six CCAA tournament appearances since. In addition to his efforts on the sideline, Shayewitz has served as the Academic and Eligibility Student-Athlete Advisor for the SSU athletic department for the past several years. He also holds Master's degrees in health as well as physical education and recreation from Saint Mary's College in Moraga, and another in business from Sonoma State. He will take over a women's basketball program that has gone 33-75 the past four seasons, and 82-160 since its last NCAA tournament appearance in 2007-08. "Sonoma State is my home," said Shayewitz. "From my playing days to the years I have spent on the sideline, it has always been my dream to be a head coach at SSU. I have to thank SSU Men's Basketball Coach Pat Fuscaldo for the opportunity and freedom he has given me over the years within his program."